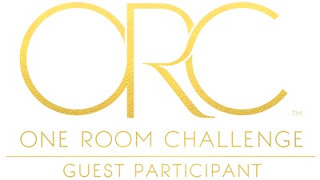 It's the first week of the One Room Challenge and although I feel that I've entered into this challenge in a tornado of quick decisions, I have a solid plan put together and a husband - who will be putting his DIY skills to the test! If you found me over on the ORC website – welcome, I'm so glad you're here! I’m Ashley and this is my blog about the calm and the chaos of motherhood, design and everything in between. I am forever designing commercial spaces, websites, and our own 80's bungalow. Nestled in a small village outside of Ottawa, my husband and I, our twin daughters and toddler son, strive for simplicity, joy and lots of camping. I remember walking out of this home after coming for a viewing four years ago, thinking how much I didn't like the design choices and wondering if I could survive without an en-suite bathroom. It was the trees that convinced me to return for a second viewing. While we lived in my parents' basement for three months so that we could renovate much of this home, we never touched either of the bathrooms. 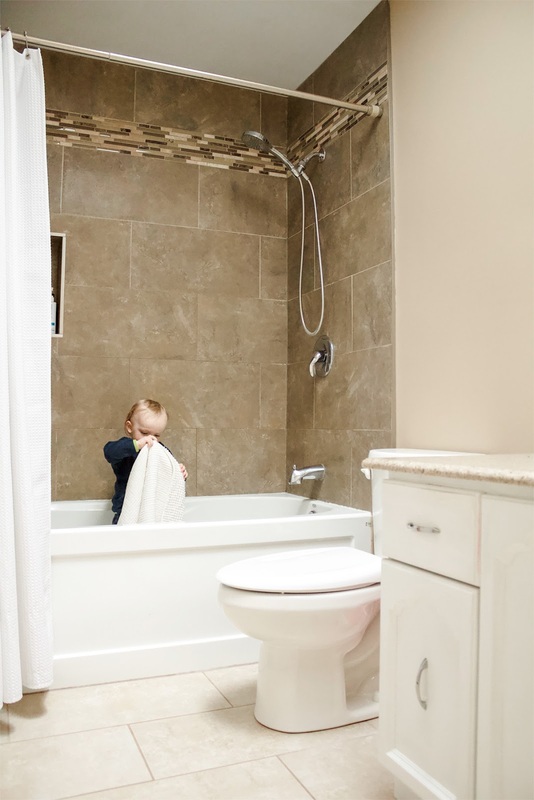 This is our only main floor bathroom so fingers crossed this renovation goes quick, because we will all be tip toeing down to the basement bathroom in the mean time. While it certainly wouldn't be eligible for World's Ugliest Bathroom, it's just beige, more beige, with a side of brown and it's a cluster of trends thrown together. It also only has one sink. Did I mention we have three children? Because we do. 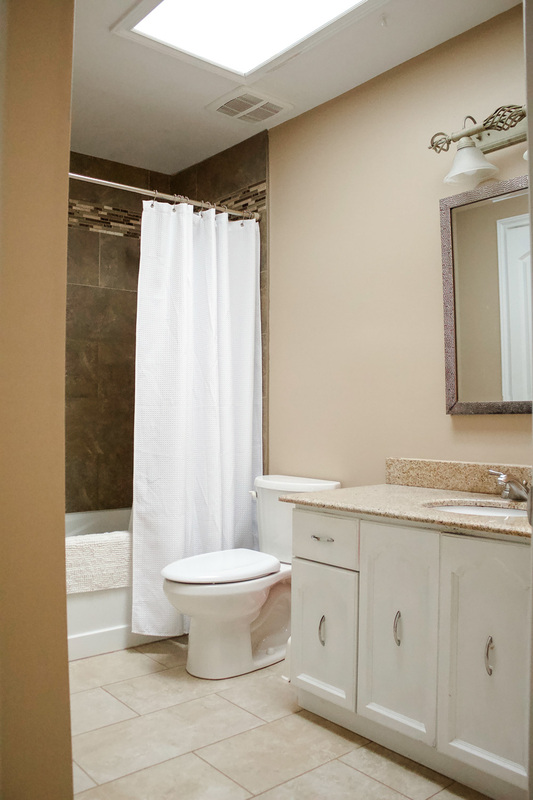 And although we can't actually make this bathroom any bigger, we plan on doing our best to maximize the space. The vanity is basic and harbours many layers of paint. The countertop appears to be granite but I could be mistaken. The faucet is permanently stained from well water. We replaced our water treatment system when I was pregnant with our son, so going forward we shouldn't have the water stain issue. 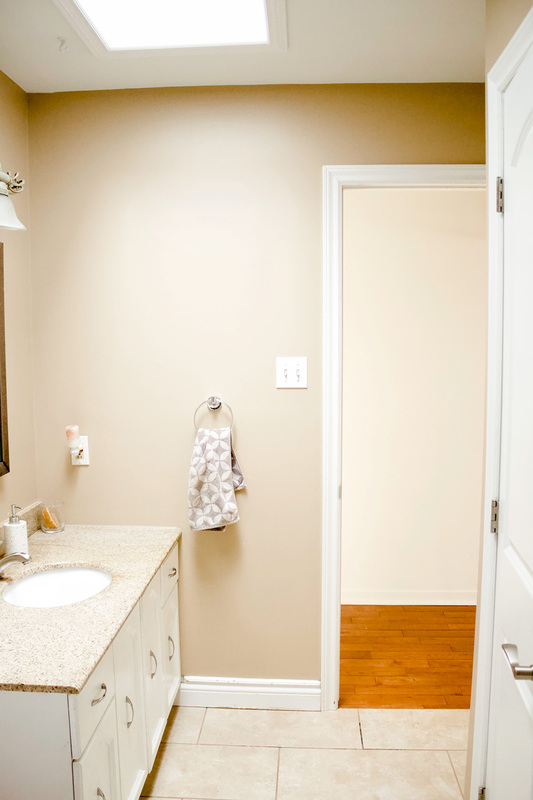 To be safe, we are opting for chrome fixtures rather than brass or black (which would definitely be pretty). We are planning an elevated Ikea vanity by which I mean we will source a stone countertop and different drawer fronts. 1. We want to avoid using the standard Ikea moulded double sink. 2. 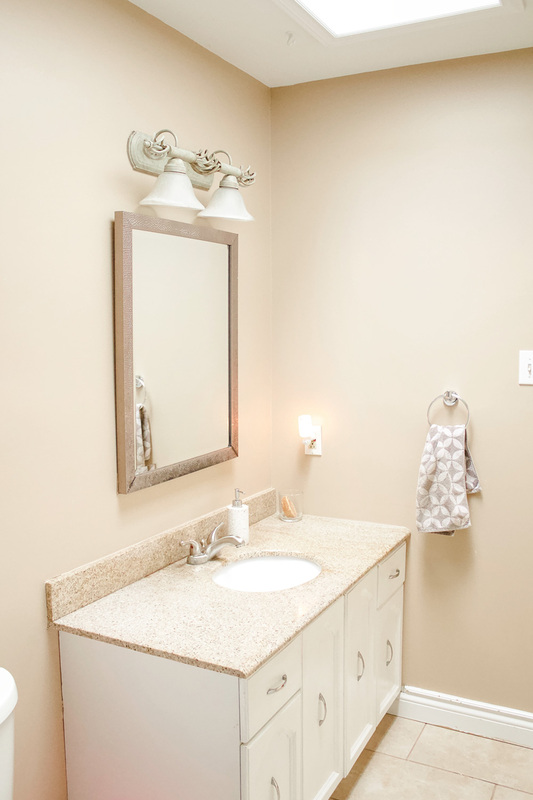 In order to be able to use the drawers in the vanity, it will be much easier to use Ikea sourced vessel sinks because the plumbing that comes with them accommodates the drawers. If we were using professional trades to do the installation, this wouldn't be a factor. On that note, yes, we plan on going this reno alone. I know the value of professional work but cost is a factor and I do believe that between Andrew and I (two self proclaimed perfectionists) - we can figure this out and make it look as close to professional as possible. We are planning two wall mounted faucets, an oversized round mirror, and a pair of micro wall sconces. Right now the plan for the walls is a slightly longer and narrower subway tile, laid in a vertical non brick pattern (so side-by-side). The verdict is still out on whether we will extend this tile to the ceiling and all the way across the wall to the bath/shower walls. 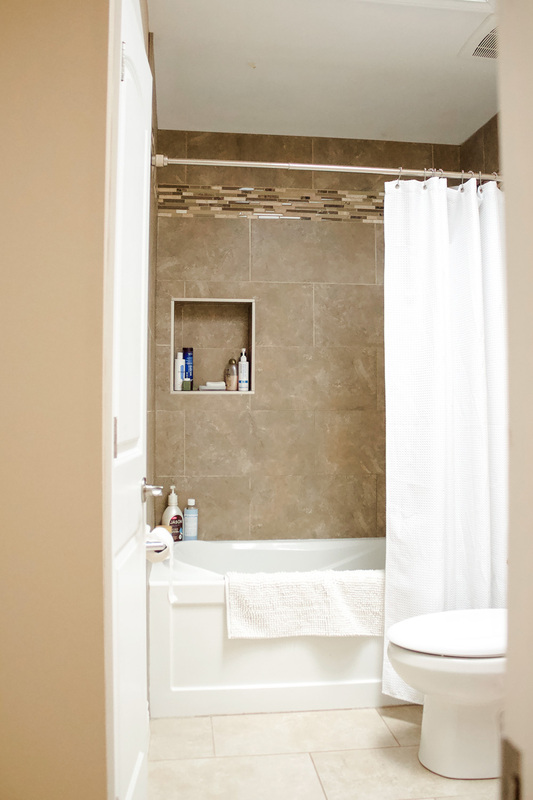 We are considering doing a feature tile wall on the back shower wall - but given the fact that I tire easily of pattern and / or colour, it will likely end up white. Right now we are leaning towards terrazzo floors (Andrew and I keep debating the proper pronunciation of terrazzo so if you hear me in my IG stories saying it the right way, be sure to let me know). 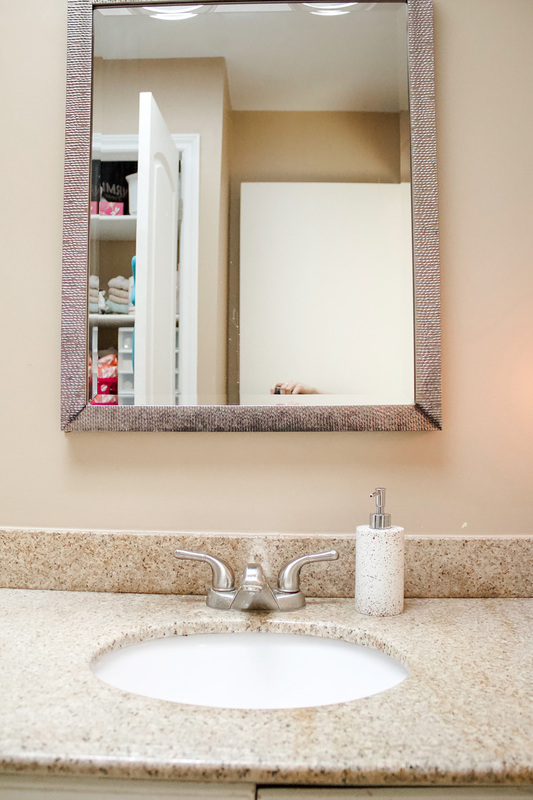 The terrazzo caught my eye first on a soap dispenser that Santa brought me from Simons and second in Sarah Sherman Samuel's design of Mandy Moore's bathroom reno. The tiles would be extra large at 24 x 24 and the grout lines very minimal. The only thing holding me back from a final decision is whether terrazzo is too trendy. Andrew graciously reminded me last night to be careful with what I pick because it needs to last forever. So just a little pressure to get it right over here. The tub is staying unless someone wants to give us a new one and install it. It works perfectly well, still looks new enough and I've come to terms with the fact that we cannot fit a larger one in the space. I haven't put much thought into the shower curtain yet. But I have a few ideas pinned that I will think on. For paint we will likely continue our love of Farrow and Ball Wevet. We used it in our main living areas throughout our home. 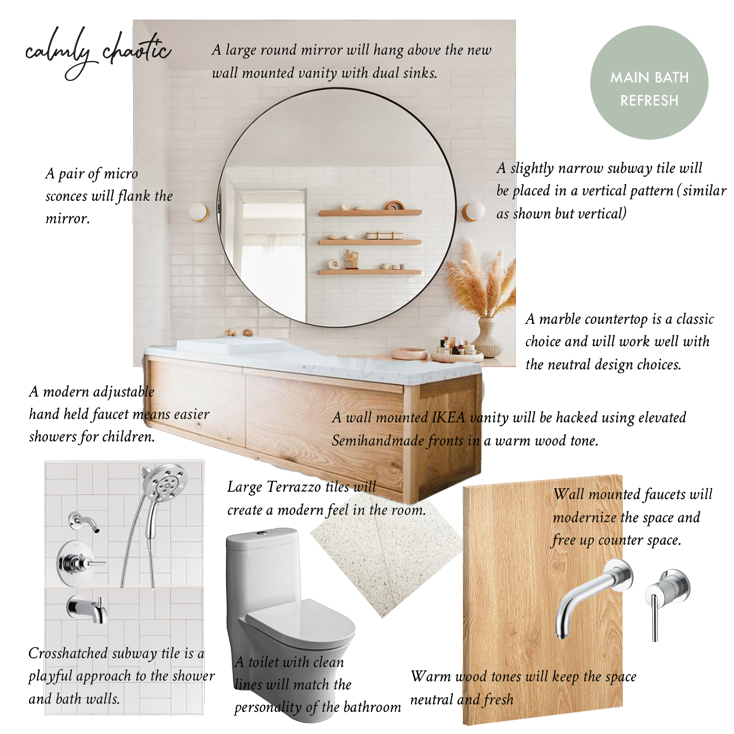 I am excited to be partnering with Wayfair on some of the bathroom elements! I also have a couple more fun collaborations in the works for this project. That's feasible in 6 weeks with three children, two cats and one husband... right?! I sure hope so! What's next? Follow along to see all of the projects shared by the featured designers & guest participants! * This post contains affiliate links and I will be compensated if you make a purchase after clicking through to a link. I like comments (almost) as much as like wine!